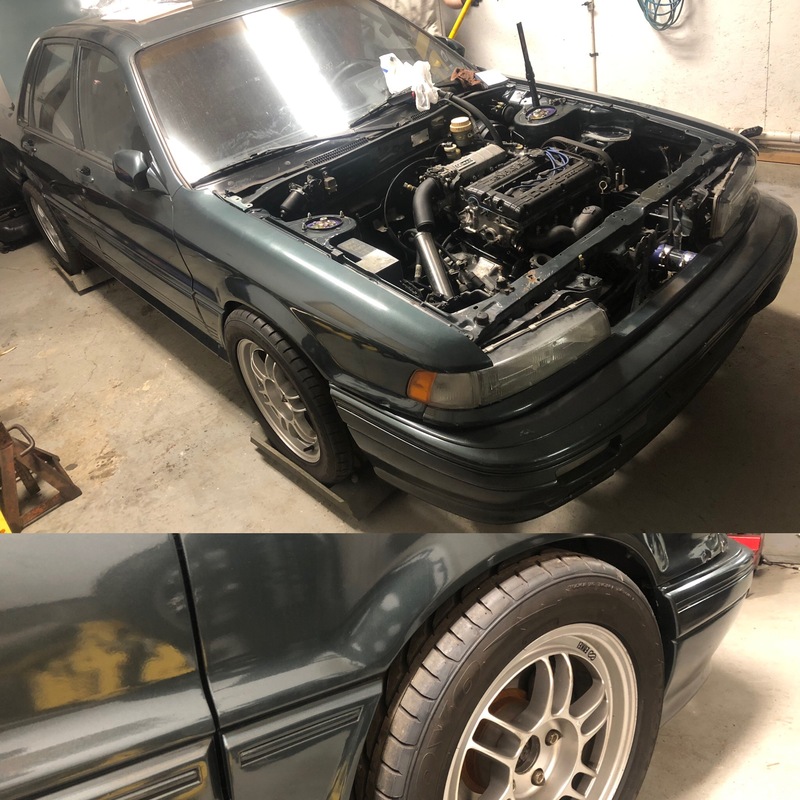 This is the shop's current "experiment platform" for Haltech ECU....we are putting the car together mechanically, then using it as the subject for a series of videos highlighting Haltech Elite installation and setup for a basic street car. 2.0 6bolt 4G63 w/ Ross pistons, OEM rods, Aftermarket mild cams, BSE, metal HG, ARP headstuds. basic engine. ETS FMIC kit, tial bov, stock TB, Stock intake manifold. Walbro intank pump, FIC 1450 injectors, OEM FPR & lines. ACT flywheel, ACT 2600 clutch, OEM trans/center diff, 4bolt rear end set, OEM xcase/axles. Performance Partout terminated engine harness. Dual trim knobs for boost control and launch rpm adjustment "on the fly". MAP, Fuel pressure, Oil pressure, Exhaust Presssure sensors. Haltech Electronic Boost Control solenoid & Flex Fuel sensor.